Thanks to mom for filling in this week while Lynzie and I are in England. 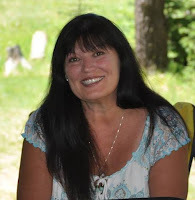 I loaned her my copy of The Moonstone and was thrilled to hear her thoughts on it! I just finished reading one of the best mystery novels of all time. 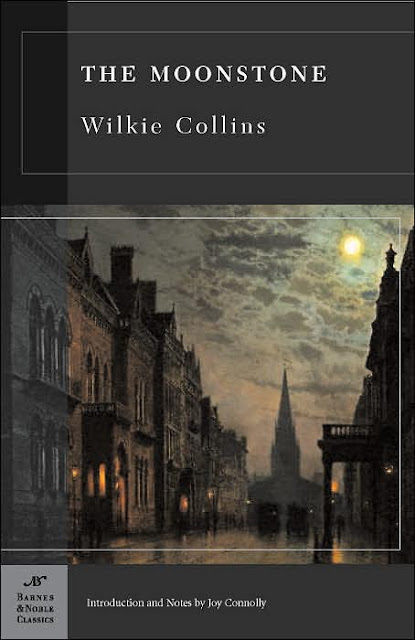 The Moonstone by Wilkie Collins was first published in 1868. This talented author was born in London in 1824 and published more than twenty six novels in his career, making him one of Britain's most popular writers. He compares, without a doubt, to other accomplished writers such as, Edgar Allan Poe, Agatha Christie, Arthur Conan Doyle, and Charles Dickens, whom he actually met and became friends with in 1851. 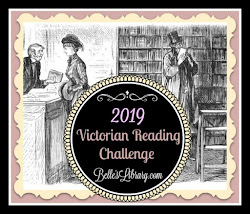 This entertaining story is set in a comfortable English country home in the year 1848. It is told in the first person words of several of the main characters, each telling their story regarding a missing valuable diamond which was gifted to the lady of the manor's daughter, Rachel, at her eighteenth birthday party. I loved the mix of characters and respected Gabriel Betteridge the most for his honesty in all things. He was the elderly house steward who was outspoken and kept to his convictions at all times. His constant reading of Robinson Crusoe was an adorable addition to this story. Sargent Cuff reminded me of an old fashioned "Columbo" from the 1960's and 1970's "whodunit" TV show starring Peter Falk. All Mr. Cuff needed was a glass eye and a rumpled coat to complete his look! The fanatic Miss Clack was the classic copy of some women I have known who will never take no for an answer. I am sure she invented Obsessive Compulsive Disorder before anyone even knew what OCD was. I love how she decided to leave her hoard of tracts to Rachel as a legacy in her will! I have to say, the ending of this book was perfect and I was shaking my head at how easy the task of guessing who the thief was should have been. This author did a great job of keeping me guessing. I would recommend this suspense-filled detective story to anyone, young or old, who enjoys a good mystery!